I scheduled an appointment for a oil change. The service was completed within the hour. Trent was very friendly and even walked me to my car holding an umbrella for me as it was pouring rain. There was another employee that helped me at the loaner desk. He was very friendly and answered my questions regarding the QX80! I was very impressed with this vehicle and was happy to have it as a loaner for a little while. Unfortunately, I can't remember his name. I was very pleased with my visit. I was greeted at my car with a friendly smile. Status updates on the service of my car came frequently and without prompt. Check-out was simple and easy. Very quickly on my way. I told them I wanted the car in the morning and drove up from Florida to pick it up. Everything was ready and well done. Elizabeth set up my phone, showed me how everything worked, and I was back on the road in about 45 minutes. Pretty impressive. She also helped me return my rental car. Everyone was very professional and I'd recommend Elizabeth & Roswell to anyone. All work was done timely and at reasonable costs. Dealer successfully fought for warranty coverage saving me thousands. I have bought three Infiniti’s from this dealer and intend to buy more in the future. 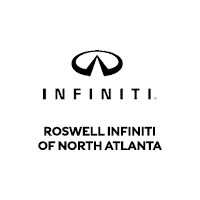 I switched over to this INFINITI service center because I wasn’t happy with the one I purchased the car from, and I’ve been very happy with them in the few times I’ve been in. Everyone is very friendly and helpful. I’m glad I switched to them. I recently brought my 2015 QX60 in for a engine noise issue, plus the 30K maintenance...great experience with the service center - much better than any other service department I've dealt with in the past. I called my Sales contact Quinton and he set the appointment for me (when he could have just told me to call the Service department). Then Joe in Service was excellent to work with, addressed all my concerns, got me into a loaner car and got me on my way on a busy day. All service completed, running great and the car was sparklingly clean inside and out. Thanks! Overall an awesome company and team. Being my first INFINITI, I will never go back to others! People and service are GREAT! LOVE the CAR!!! Could not have been more friendly and accommodating. Repaired everything we asked for. This was our first time taking the car in and we were very pleased. Purchased a 2018 Q50S which I absolutely love. Drove it home with no problem. When I tried to start it up the next morning, the service engine light was on again (it had been on during the test drive), and the car was very slow to start. I brought it to my local dealership who told me the battery was low. Still having cold starting issues I had to bring it back to the dealership where they believe that it is a fuel delivery issue. Car is beautiful and I was given exceptional customer service, but it has spent more time being worked in than in my possession. Very disappointed with the service department for letting a car be sold with these issues. Only bright spot is that it is a CPO!